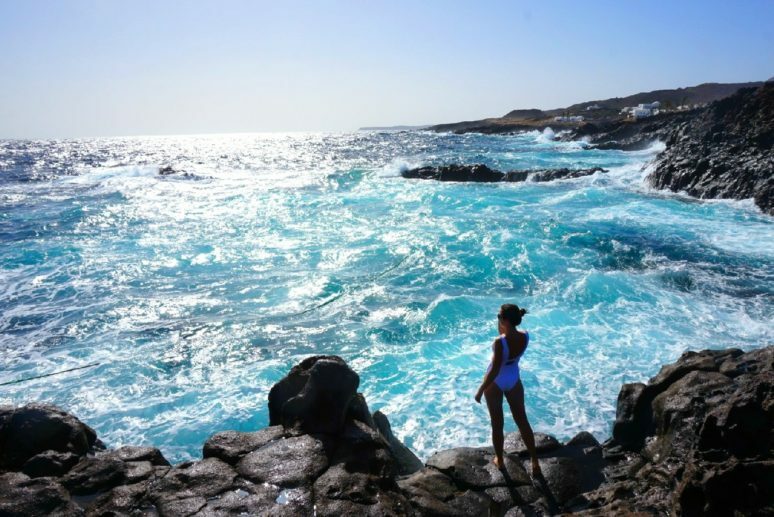 Lanzarote is one of the eastern Canary Islands renowned for its volcanic landscape and wild beaches. I spent New Year’s there with my family for 10 days and I wasn’t expecting so much wild beauty. The contrast between the black solidified lava everywhere, the blue sea and the white houses is just spectacular. 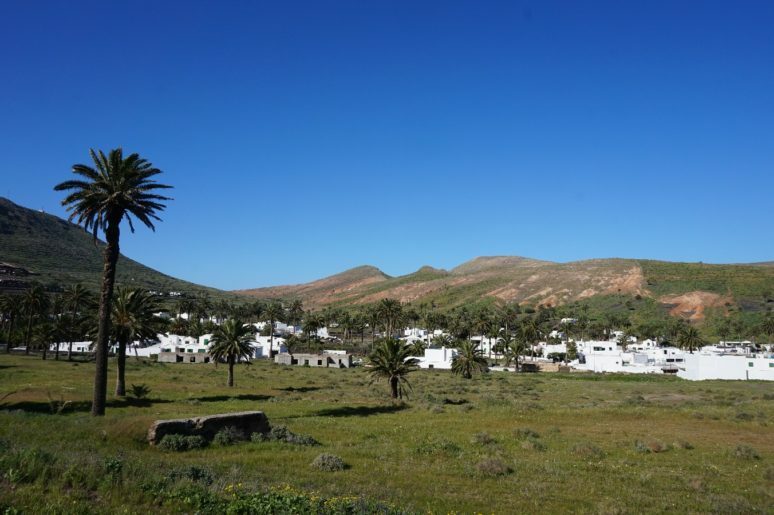 We rented a lovely villa in Costa Teguise and I would recommend renting a car to be able to get around the island easily and to see all of its natural beauties. When you’re on an island the best thing to eat obviously is fish and that’s what we did every day. 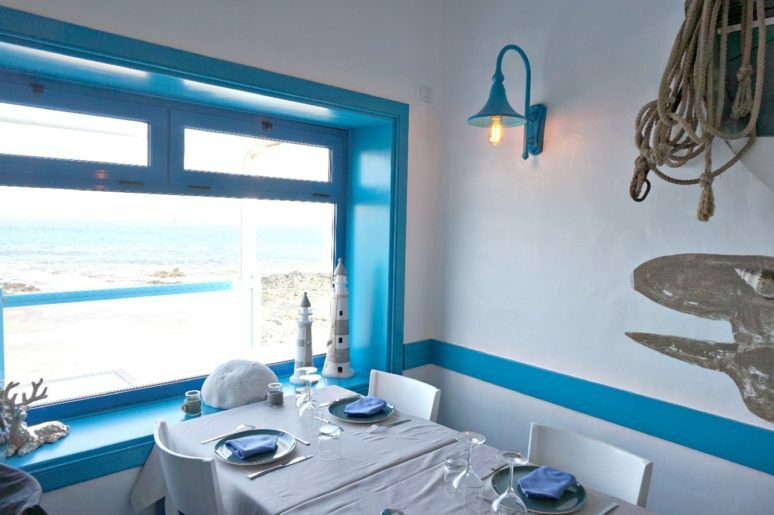 Sometimes you can easily forget the taste of fresh fish when living in a city far from the sea… Lanzarote is also known for its white wines made on the island so you must try some with your fish and seafood dishes. 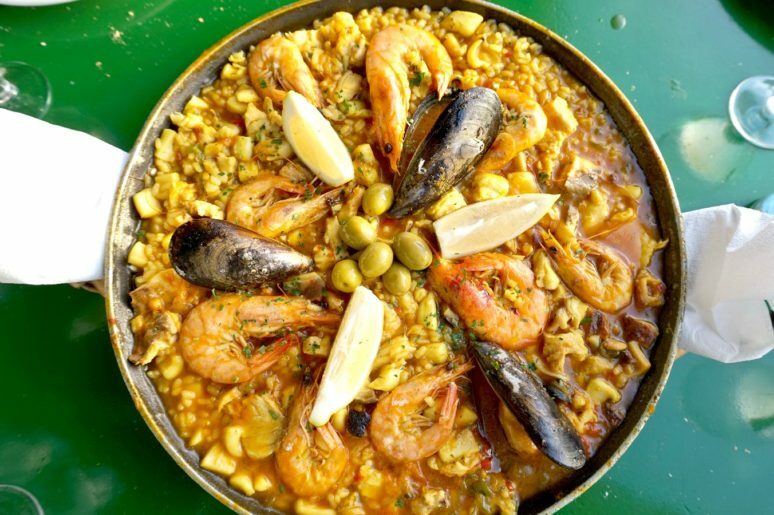 Our favorite restaurants were: La Nasa Restaurante El Norte for is local fresh fish, Bogavante for the best paella ever , and El Risco for its delicious food and beautiful setting. We even went twice to each of these restaurants as we liked them so much! The sea can be quite rough on certain points of the islands, especially by the rocky areas. But it’s so refreshing to just watch the huge waves crashing on the rocks and get that breath of fresh salty air. 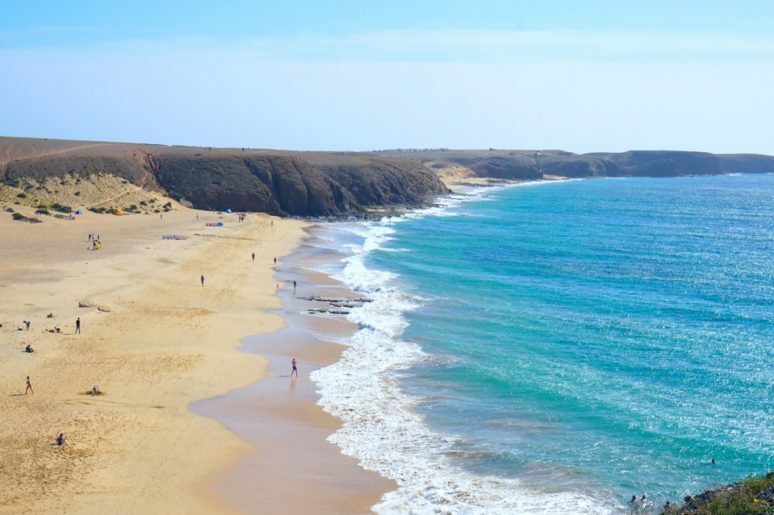 Despite its rocky landscape, Lanzarote does have some beautiful white sandy beaches where you can sunbath and this is one of them. It can be a bit windy at times so you might not want to lie on the middle of the beach and go towards the back where it’s a bit more sheltered. 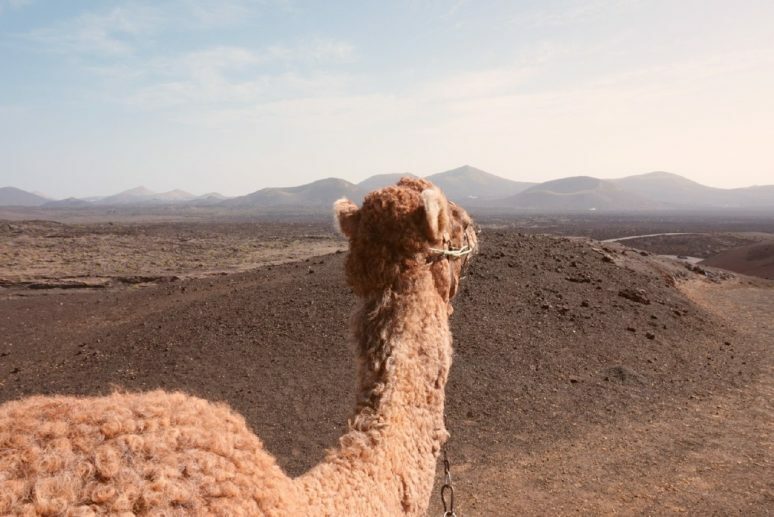 When entering the Timanfaya National Park you feel as though you’ve just landed on Mars. The vast landscape is made up of solidified lava and volcanoes and there is nothing else a part from the odd shrub. At the car park you take a bus tour which drives you around the park and describes all the history of the volcanoes, aka the Fire Mountains, and their past eruptions. On the way to the park entrance there’s a place whereby you can stop and go on a camel ride for about 20 mins adding a fun touch to your visit. 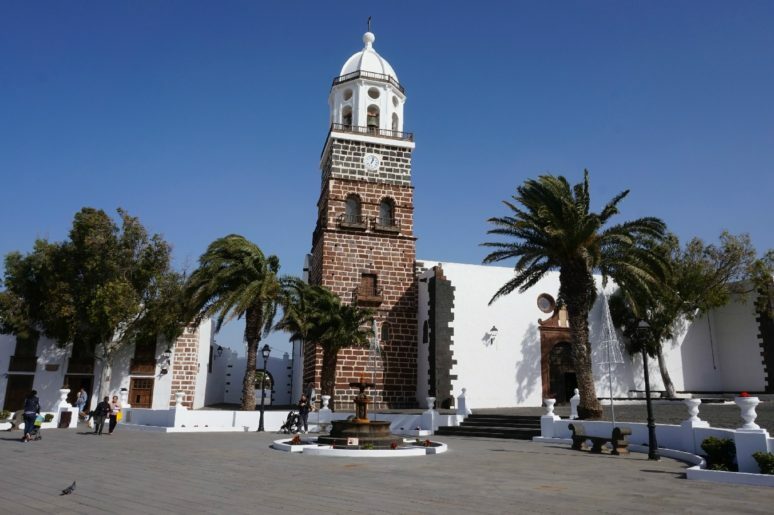 Teguise used to be the capital of Lanzarote and the architecture is really lovely. Haria was my favourite town as you feel as though you’ve come across an oasis in the middle of the desert. It’s surrounded by palm trees and all the buildings are white. 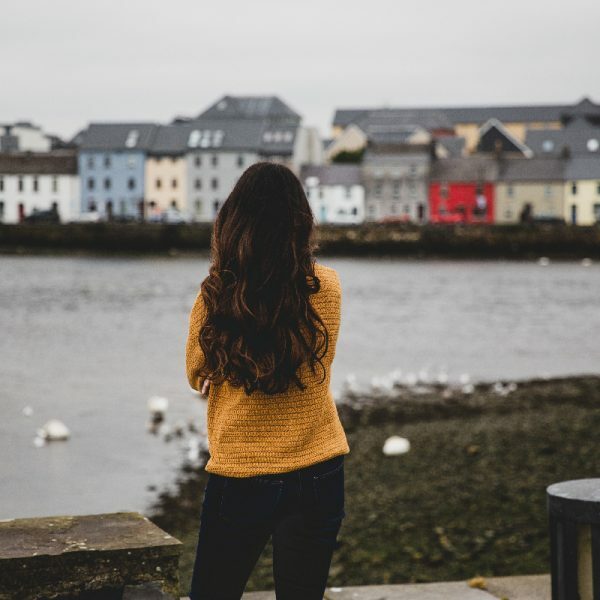 There are several cafes and restaurants in these towns if you want to have a bite to eat. 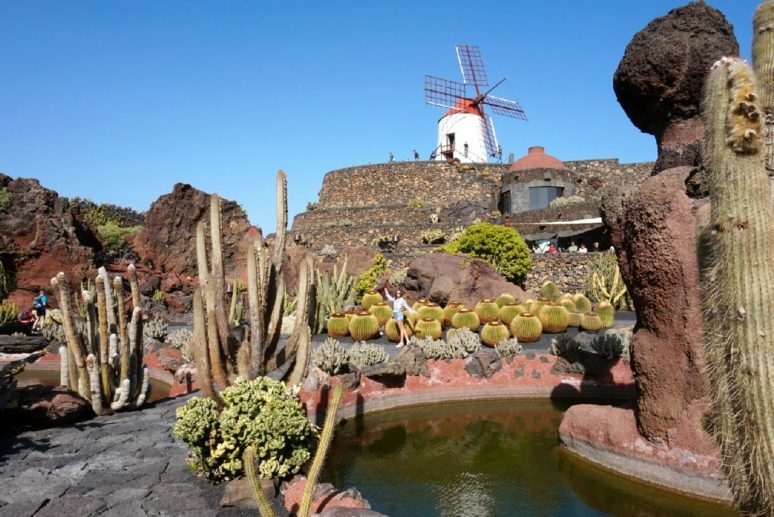 If you’re a big cactus fan then you can’t miss out on the outstanding cactus garden designed by César Manrique, a renowned artist and architect of Lanzarote. I have never seen so many different varieties of cactus in one place, some which I had never even seen before! 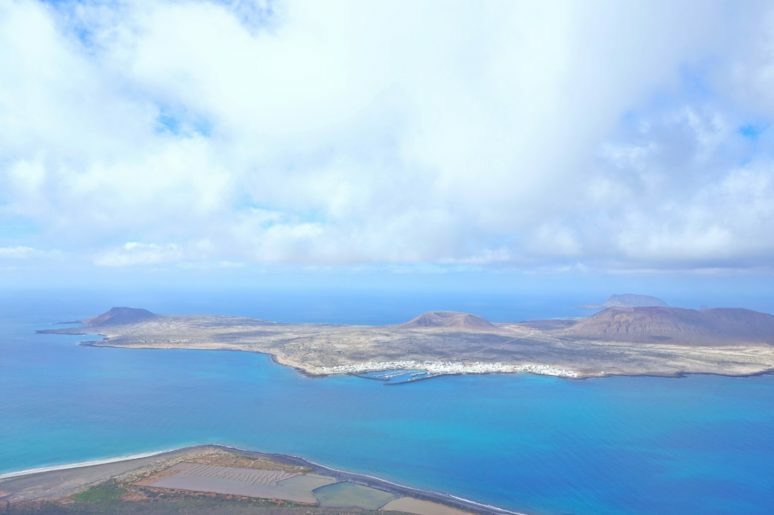 I’m a big fan of rooftop/panoramic views and from the top of the Monte Corona, which is an extinct volcano, you get to see a spectacular view over La Graciosa island. 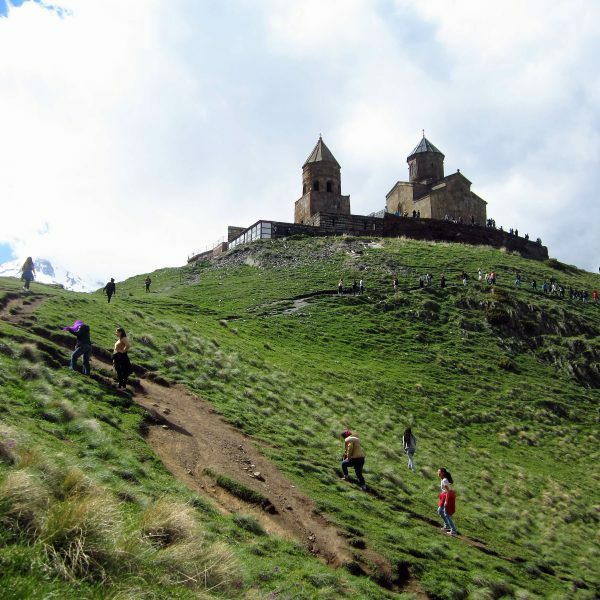 If you don’t want to pay the entrance fee to the Mirador (4.50€) you can also just climb over the small stone wall on the side to see the view. Also known as the Charco de los Clicos in Spanish, this lagoon is something rather unique on the island. 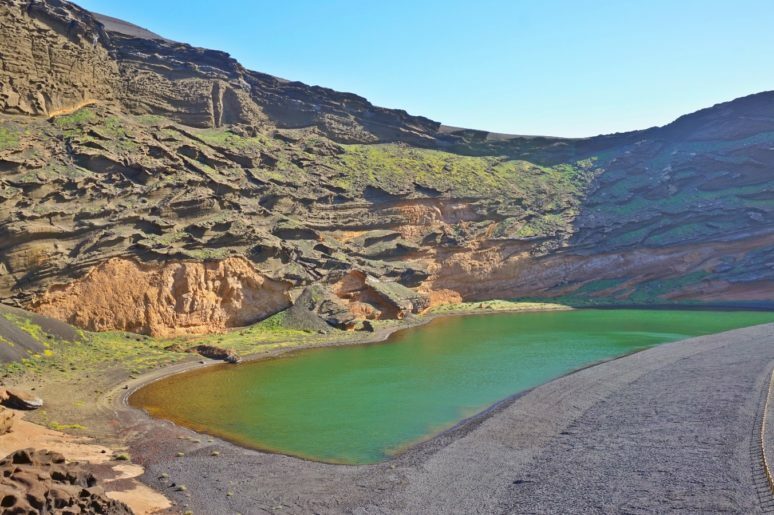 Just next to the main carpark of El Golfo there’s a small path that leads you to this huge lagoon which is inside a volcano crater. I was fascinated by the contrast between the bright emerald green colour of the water (due to the algae at the bottom), the blue sky and the black volcanic sand of the beach. It’s a Natural Reserve so you can’t actually go inside the water or get too close to the lagoon. 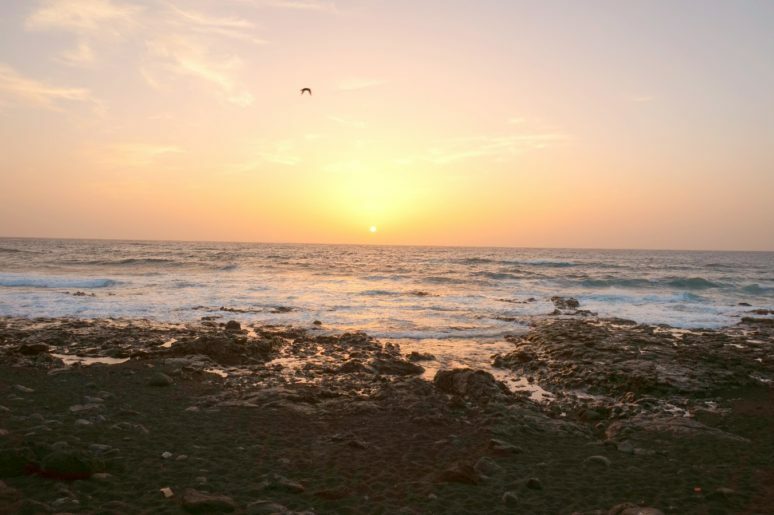 Who doesn’t love enjoying a sunset by the beach?! 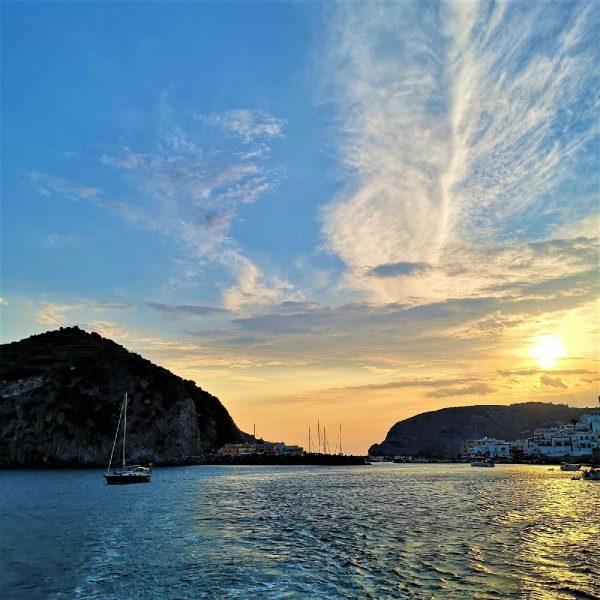 On the west coast of the island you will see some of the most beautiful sunsets ever. This photo was taken after a very late lunch at El Golfo and it was so magical. And yes, the seagull is real – I didn’t add it using Photoshop. Sometimes in life you get to capture nature on its most perfect moments.